On behalf of Admin of JML Law, A Professional Law Corporation posted in Product Liability on Thursday, Jul 19 2018. It’s often frustrating when you get a product that has a defect. You could get injured or your family members could’ve gotten injured from the defective product. An example of this would be the airbag failing to deploy. This could cause serious injury and you have the grounds to sue. Companies are trying to save as much money as possible and sometimes that results in you getting the short end of the stick. It’s extremely unfair and you shouldn’t of had to go through it in the first place. It’s essential to know some elements of product liability as well as different claims you may make because of the defective product. 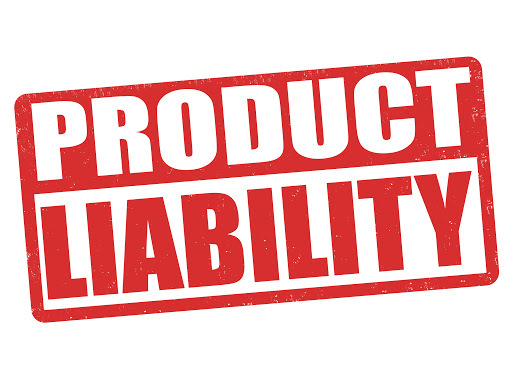 In trying to prove product liability, you must prove that the manufacturer or supplier “failed to exercise reasonable care” in the making of the product. This may be difficult to prove depending on the manufacturing and the type of product. Using the example mentioned previously, it can be easier to prove that the automobile company was negligent in testing if the airbag deploys. A breach of express warranty is when the warranty is written or stated. This includes labels and packaging on the product as well as advertisements. This one of the common pieces of evidence used in product liability cases. If this warranty is breached, then you may have a case for product liability. An example of this would be if a cleaner had on the label it could work on certain surfaces and it didn’t, then this would be a breach of express warranty. A breach of implied warranty is when something doesn’t have to be specifically guaranteed by the manufacturer or supplier but it is implied. The law automatically applies to this type of warranty. An example of this would be buying a knife that could not cut through different foods, that would be a breach in the implied warranty. One claim you can make in defective liability suit is that the design of the product was inherently dangerous or defective. The product design was made to the proper manufacturing standards but the whole line of products is deemed as dangerous. Another claim you can make is that the product was defectively manufactured. There is a flaw in your product specifically that could been caused by the manufacturing. Other products in the line were made correctly. Another common type of claim used is inadequate warnings or instructions. The product is dangerous in a way that isn’t obvious. There are no clear labels or explanations and it caused you to have an injury. When you buy a product, you trust that it will work as intended. You trust that the company and manufacturer have made the product safe to use and it does what it has to do. Sadly, this was not the case and the product has caused you or your loved one’s injury. The company has made things unsafe for you. When this happens you deserve to have to proper compensation and they deserve to be held accountable for their mistakes. You want someone who is an expert like Los Angeles product liability lawyer in product liability law and will be on your side. JML Law, a professional law corporation, are experts in product liability law and have protected people like you for over 40 years. Call them today for a free consultation at 818-610-8800 or simply use this contact form.